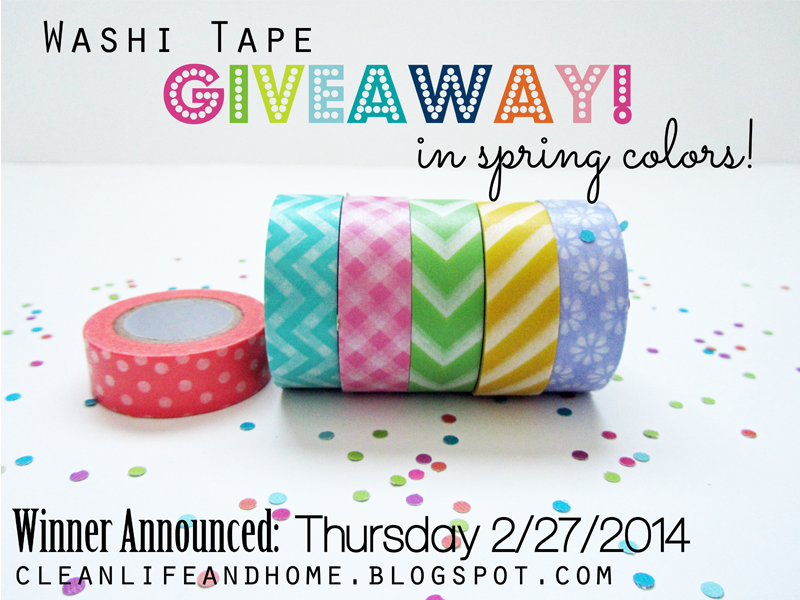 Clean Life and Home: CLOSED Giveaway: 6 Whole Rolls of Washi Tape in Spring Colors! CLOSED Giveaway: 6 Whole Rolls of Washi Tape in Spring Colors! >> This Giveaway has ended. I'd like to Celebrate Spring early with my first giveaway! Thank you to everyone who has recently started following me! 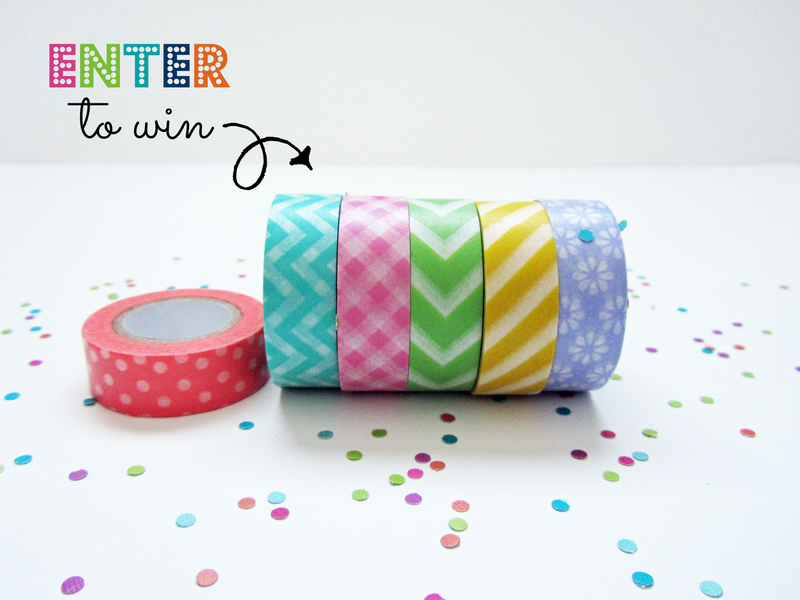 Enter for your chance to win 6 whole rolls of washi tape in spring colors! 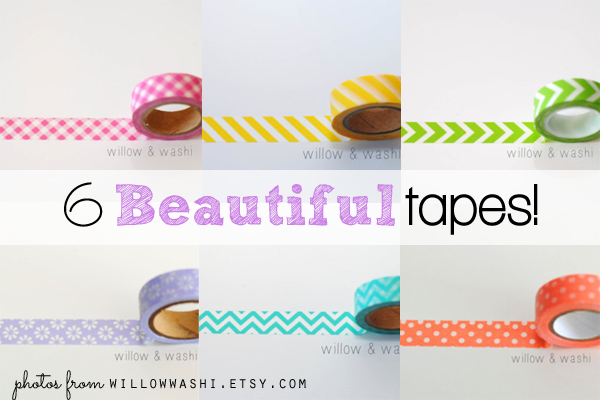 These tapes are from Willow & Washi (not sponsoring this giveaway, but a great Etsy shop!) Tapes include: Coral polka dot, Turquoise chevron, Pink gingham, Lime arrow, Yellow stripe and Purple daisy! A bright, colorful collection of tapes! I love to use washi tape with my printables. It's perfect for adding a title, highlighting important notes, color coding your calendar or even decorating your binder! Enter today! Winner will be announced Thursday 2/27/2014! Washi tapes are great in making your simple stuff look lively. In fact, they can also be used as embellishment on your paper crafts or decorative borders on your scrapbook. There are a lot of things you can do using that stuff. Anyway, thanks for sharing!